Dafang is a Research Scientist at the Institute for Computational Medicine, Johns Hopkins University. Prior to joining the Computational Cardiology Lab, he received his PhD. in Computer Science at the University of Utah (2012), advised by Dr. Christopher Johnson and Dr. Mike Kirby at the Scientific Computing and Imaging Institute (SCI). He received his BSc in Computer Science from Zhejiang University in China (2005). 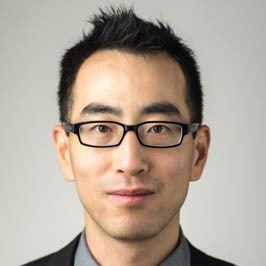 His research spans parallel computing, numerical optimization, and machine learning techniques for multi-scale, multi-physics computer models of human hearts. He is currently focused on developing computer models of cell-to-organ cardiac electromechanics, personalizing such models using medical images of individual patients, and applying such models to improve therapy and intervention planning for heart diseases such as myocardial infarction and heart failure. If you have any questions for Dafang, please contact him via email.